Jared Kushner, Senior Advisor to President Trump, has been working to eliminate the U.N. relief agency that has been providing food and essential services to millions of Palestinian “refugees” for decades, and I couldn’t be happier. As Israel’s most powerful ally, it’s really unfathomable why we have been aiding one of its biggest enemies—Hamas-controlled Palestinian “refugees”—for decades. The same refugees who continue to call for the destruction of Israel and where 8,000 Palestinians recently marched along the border in solidarity of a West Bank terrorist who stabbed an Israeli to death in border skirmishes. Palestinian refugees have been holding weekly and escalating violent protests at the Israeli-Palestian border since March as part of its “Great March of Return,” that culminated this weekend in the death of one Palestinian and 220 others being injured. The protestors have set off airborne fire bombs from Gaza, causing 26 blazes in Israel. 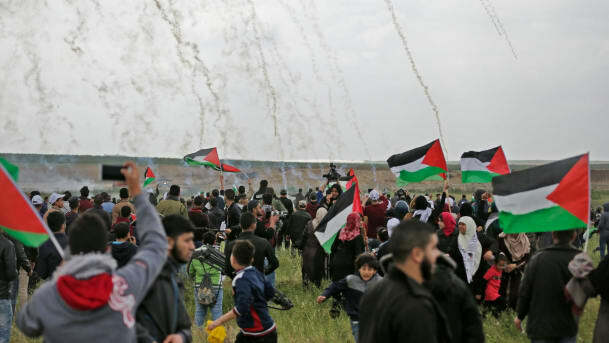 Demonstrators have also been throwing stones and Molotov cocktails as well as launching incendiary kites at Israeli troops. 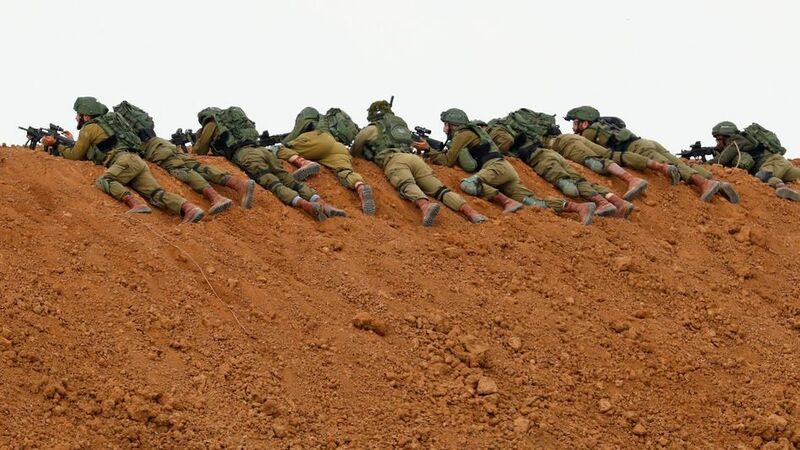 While the western press likes to show images of Israel firing on Gaza City, the real aggressors are Hamas-backed Palestinians. Photo credit: Mahmud Hams/ AFP. According to a report published in Foreign Policy, Kushner, whom Trump has charged with solving the Israeli-Palestinian conflict, says “[He] has been reluctant to speak publicly about any aspect of his Middle East diplomacy. A peace plan he’s been working on with other U.S. officials for some 18 months has been one of Washington’s most closely held documents.” But in typical Trump fashion, that doesn’t mean nothing is happening. Rep. David Cicillian (D-R.I.) introduced The UNRWA Accountability Act of 2018 (H.R. 5898), which is also silently making its way through Congress. The bill aims at picking apart the U.N. Relief and Works Agency (UNRWA) funding and naming names on who is benefiting from the funding and where U.S. dollars are going. The bill was referred to the House Committee on Foreign Affairs and on June 28, 2018 the Committee agreed to consider suspension by unanimous consent. Since its formation in 1949, the United States has helped fund UNRWA to provide relief for Palestinians displaced after the formation of the State of Israel. But some view this aid as giving false hope to Palestinians who believe they will one day return to Israel as a Palestinian nation state, an outcome the United States would never support, and that UNRWA funds have been used to prop up Hamas. And they’d be right. Textbooks used by the Palestinian Authority and the UNRWA in the West Bank and Gaza demonize Israel, encourage war and teach children that Palestinian statehood can be achieved through violence. To remedy this, U.S. lawmakers introduced new legislation in June (H.R. 3064) aimed at holding the Palestinians accountable for incitement of Israeli hate in their school curriculum by possibly freezing foreign aid. The Palestinian Authority Educational Curriculum Transparency Act, introduced by Reps. David Young (R-Iowa), Josh Gottheimer (D-N.J.), Peter Roskam (R-Ill.) and Brad Sherman (D-Calif.) on June 7, requires the U.S. Secretary of State to submit annual reports reviewing the educational material used in schools in the West Bank and Gaza run by the Palestinian Authority and UNRWA. Meanwhile tensions in Gaza and the West Bank continue unabated with the Trump administration squarely aiming the blame where it belongs—terrorist group Hamas. Not surprisingly, UNRWA has roundly condemned the U.S. peace plan being crafted by Jared and the U.S. Special Representative for International Negotiations Jason Greenblatt before it has even been unveiled. But it goes without saying that the complete destruction of Israel as a nation isn’t a negotiating strength for the Palestinians. Palestinian-Israel peace is as illusive as Big Foot, but the United States appears to be attacking the Palestinian problem from a position of strength by refusing to fund groups that purport to help West Bank Palestinian children while doing just the opposite. It’s a positive step in the right direction. Reign well.